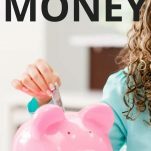 I don’t know about you, but I’m pretty much always looking for ways to save a bit of money every month. Sometimes it feels like you’ve cut costs as much as you can, and you’re stuck on ways to save more money. 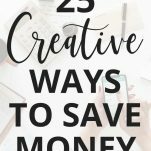 In this post, I’m sharing 25 of the best ways to save money that you might not have already tried. 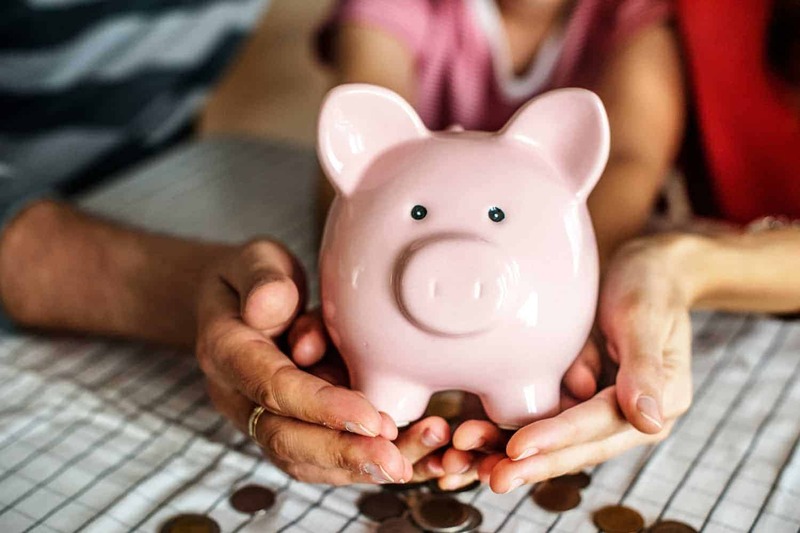 These money saving tips can go a long way to helping you build up your savings account or create a little extra wiggle room in your budget. 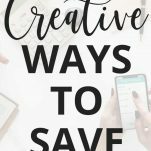 The most effective way I’ve found to actually start saving money is by creating a budget. I know it seems simple, but a lot of people aren’t doing it! There was a long time where I didn’t feel like I needed a budget. I didn’t think my spending was a problem, and I had money left at the end of every month. Then I sat down and started tracking where my money was going, and I was slightly horrified. Seriously, the amount of money I was dropping on take-out and trips to Target was eye-opening. 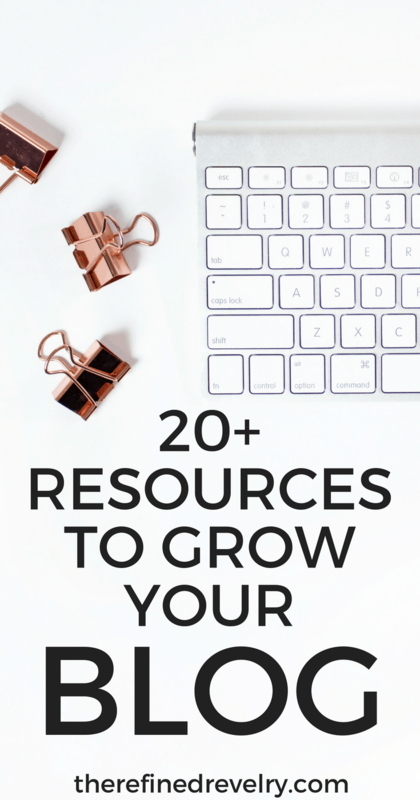 Once I sat down and created a monthly budget for myself, I was quickly able to cut back my spending and start saving more money. 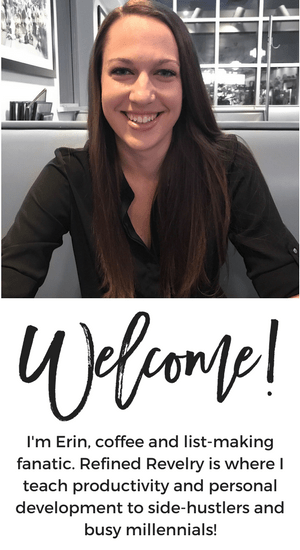 Ready to start your own budget? Head over to this post on creating a monthly budget and some extra budgeting tips. If you find that you don’t have money left at the end of the month to put into savings, then it’s time to reevaluate how you’re doing things. Instead of saving whatever you have left at the end of the, put money into your savings FIRST, and then only spend what’s left. The best way I’ve found to do this is by automating my savings. On the first of the first of each month when I get paid, I have an automatic transfer set up from checking account to my savings account. I don’t have to think about it, but I’m still managing to put away money every single month. It’s not money I miss, because it gets transfers literally the same day I get my paycheck before I even have a chance to notice it’s gone. Ibotta: I use Ibotta pretty religiously to get cash back on groceries, and I get at least a little back every week! All you do is upload a picture of your grocery receipt and you’ll earn cash back on certain purchases. One of the reasons I love Ibotta so much is that they offer cash back on things like produce and generic brand products that you can’t normally find coupons for. Ebates: Ebates is a service that gives you cash back on just about any online purchase. And they now allow you to get cash back on in-store purchases too! Dosh: Dosh is an app that connects to your debit and credit cards and gives you cash back on purchases. One thing that sets Dosh apart from other cashback apps I’ve used is that you can get cash back at some local restaurants. Acorns: Acorns connects to your bank account and will round up the spare change on your purchases and invest them. It’s 100% hands-off, and you aren’t investing a significant amount of money, so it’s a great way to start investing. Meal planning is essential when it comes to saving money on groceries. Meal planning can help you avoid wasting food, as well as cut down on impulse purchases. Meal planning can also help you avoid those nights where you aren’t sure what to make for dinner, so you resort to eating out. If you’re new to meal planning or struggle to stick with it, you need to check out $5 Meal Plan. $5 Meal Plan is a meal planning service that sends you a meal plan and grocery list every week for just $5 per month. And since meal planning saves a LOT of money, you’ll more than make up the cost! I’ve never been much of a cook and can’t come up with a decent recipe to save my life, so $5 Meal Plan is perfect for people like me! Have you ever checked your bank statement and realized you were still paying for a subscription you had completely forgotten about and weren’t using? Yeah, I’m guessing I’m not the only one. These days there are so many random subscriptions out there for as little as $5 per month that it’s pretty easy to forget about them. It’s not hard to figure out what subscriptions you’re paying for. You can either take a few minutes and scan your bank statements or sign up for a service like Trim to automatically scan your accounts and find recurring subscriptions. This would also be a good time to check in on subscriptions you are aware of and decide if you really use them. If you’re paying for every TV streaming service, do you really watch them all? Be honest with yourself! Finally, figure out where else you can save. My boyfriend and I had been paying for separate Spotify accounts, and just finally got around to signing up for the family account, which gives a discount to Spotify users at the same address. I LOVE to read, and I can power through a book pretty quickly. There was a time when I was picking up a new book just about every time I stepped foot in Target. However, that was getting pretty darn expensive. Turns out, it’s SUPER easy to get your reading fix for a lot less money. I invested in a Kindle a few years ago, and since then have rented free eBooks instead of buying books. You can do this through your local library or, if you’re an Amazon Prime member, through the Prime Lending Library. If physical books are more your style, you can also rent actual books through the library. I still buy books occasionally, but only if it’s a book I know I’m going to use more than once. And since I’ve cut my spending on books so much, I don’t feel bad about occasionally spending money on one I know I’ll get a lot of use out of. 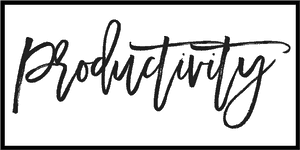 And make sure to check out my blog post where I share even more ways to save money on books! Even if you’re planning your meals and your grocery list ahead of time, you can still save even more money by comparing prices at different grocery stores. Stores like Aldi can save you a TON of money on non-name brand foods. I typically start every grocery shopping trip at Aldi and get everything I can there before heading to my other normal grocery store. They have pretty amazing prices on things like meat, organic produce, nonperishables like pasta, and frozen foods. I also get the weekly flyers from the grocery stores nearby so I know if any stores are having good sales on foods I regularly purchase. Working out is great for your health and all, but the cost of a gym membership can really add up! Luckily, there are great alternatives to paying for a gym. When the weather is nice, your options for exercise outdoors are pretty much endless! Running, walking, hiking, and biking outside are all some awesome alternatives to hitting the gym. But I live in Wisconsin, and it’s definitely not warm enough year round to exercise outside. When it starts to get colder outside, I find options for working out indoors. There are about a million free workout plans online. There are also tons of workout videos on YouTube (yoga and Pilates are my favorites). Finally, there are free apps like SworkIt who will create a customized circuit training workout for you. My boyfriend and I love finding new events and activities to check out in town. Unfortunately, this could also get expensive. We’re lucky to live in a city where there are always a TON of free activities going on. Just a quick scan through local Facebook events will probably show you quite a few options. Even if you live in a smaller town that doesn’t have quite as many events going on, you can probably still find some free activities to check out. If you’re lucky enough to have a yard, you have a great opportunity to save money on groceries! By growing your own garden, you can save money on produce year round. You can save money on seasonal veggies during the summer. And if you’re growing veggies that can be easily frozen, you can save money year round! There are plenty of people out there who will tell you to never have a credit card. And while I agree with the sentiment of not spending money you don’t have, I don’t think credit cards are the problem. If you’re diligent about paying them off every month, credit cards can be a great opportunity for rewards, whether those be in the form of cash back or travel points. That being said, it’s important to know your spending habits. If you’re someone who carries over a credit card balance and is spending money on interest, then stop using your credit card. Because in that case, it is costing you money. You guys, I used to be SO bad about impulse purchases. I literally could not walk into a Target without impulsively buying a book, clothes, or some piece of home decor I really didn’t need. And what made it worse was that I was a stress shopper, so I would hit one of my favorite stores when I was upset and spend money. If you’re also an impulse shopper, create a rule for yourself where anytime you want to buy something, you have to wait 30 days. If you still really want it after 30 days and it’s in your budget, then you can buy it. That will help ensure you’re only buying things you really want and need and not just impulsively purchasing something you may never use. One of the best ways to avoid impulse shopping is to unsubscribe from any marketing emails you get. I don’t know about you, but getting a daily email with the best sales at my favorite clothing stores really makes me want to buy clothes. Sales are great. But a better way to shop sales is to find an item you really want or need, and then wait for it to go on sale. You’re getting the same deal without getting that daily reminder of your favorite stores. This may not seem like something that is going to make a big difference in the short term, but taking care of your health can have a huge financial impact in the long-run! Healthcare is freaking expensive, and staying as healthy as possible will help you cut down on healthcare costs. Consider the cost of even your run of the mill flu. First of all, if you’re an hourly employee, you’re losing out on that money when you call in sick. And even the cost of over-the-counter cold or flu medicine is steep. And really, that’s nothing compared to the long-term healthcare costs of an unhealthy lifestyle. I realize the idea of packing a lunch to save money is not exactly a revolutionary idea, but I had to list it anyways. It’s such a basic tip that SO many people ignore. The cost of eating out really adds up. And sure, I would love the ease of just grabbing lunch out every day. But I also have a limited eating-out budget every month. I would much rather devote that part of my budget to date nights with my boyfriend or grabbing brunch with my best friend versus spending it all on lunch. The easiest way I’ve found to consistently pack a lunch every day is just to make sure I make enough of every dinner that I can bring some for leftovers the next day. Sandwiches and salads are also an easy option. You can mix it up a little every day so you don’t get bored. I don’t know if it’s having a dog, or perhaps a boyfriend who is a very messy cook, but we go through a lot of cleaning supplies in our home. And personally, I can’t think of a less exciting thing to spend money on. On top of that, I get really freaked out by the number of chemicals in most cleaning products. The good news is, there are plenty of options that are way cheaper and way less harmful. It’s amazing what can be done with some water, vinegar, and a few drops of essential oils! I currently make my own all-purpose cleaner, disinfectant, and laminate floor cleaner. I’m hoping to branch out and start making even more of my own cleaning products. We love going out for dinner or drinks, but the cost definitely adds up. Lately, we’ve started inviting friends over for homemade dinner and game nights. It’s way cheaper, and everyone has a great time! You could do potluck style, and have each of your friends bring a dish to pass. You could also suggest that everyone bring a game or activity. It’s a great way to have fun with your friends while sticking to a budget. Plus it’s more personal than heading to a noisy bar where you may not get to talk to each other much anyway. ATM fees have gotten a little ridiculous, and I always kick myself later when I end up in a situation where I need cash and haven’t planned ahead. If you’re someone who carries a bit of cash on you all the time, then it’s probably easy to avoid ATM fees. But for people like me who don’t typically carry cash, just make sure you plan ahead and know when you’ll be somewhere you have to pay cash. That way you can take cash out ahead of time at an ATM where you won’t have to pay a fee. I love grabbing a latte from the local coffee shop as much as the next person, but those daily coffee runs can really add up! By making your coffee at home instead of grabbing a latte every day, you could easily save yourself over $1,000 per year. And as someone who used to own a Keurig and switched to a drip coffee maker, I’m saving even more money. Those K-cups aren’t super cheap (not to mention the fact that they’re harmful to the environment). Just buying coffee beans or coffee grounds is cheaper, and the coffee tastes better. There’s a quote I’ve seen a lot lately that says, “Look around. All that clutter used to be money.” I’m not sure who said it first, but it definitely speaks to me every time I see it. The good news is that even though you already spent the money on all that stuff, it’s not too late to make some of it back. Just last weekend I sold a small appliance from my kitchen and a bag full of clothes and made over $100! The Facebook Marketplace or apps like Letgo can be a great place to sell items to another individual. And local clothing resale shops will give you money for your gently used clothing. Most of us are probably spending money on beverages. That might be coffee, soda, juice, alcohol, etc. One of the easiest ways to save money every single day is to trade some of those beverages for water. And I’m not talking about bottled water. Get yourself a water filter to keep in your fridge, and you’ll always have cold, filtered water ready to drink anytime. Plus, most of us aren’t drinking nearly as much water as we should be, so this swap will be good for your health as well as your wallet. For people who are struggling to save money, the idea of building an emergency fund can seem daunting. But it will also save you even more money in the long-run. An emergency fund can help you pay for unexpected expenses that pop up, such as car repairs and medical bills. With an emergency fund, you’re stuck either putting these expenses on a credit card or just letting them go unpaid – both of which will cost you more in the long-run. There are some bad habits that can cost you a heck of a lot of money. If you’ve got one, you probably already know this is killing your budget! I’m not proud to admit it, but I was a smoker for almost a decade. Not only is smoking obviously incredibly harmful to your health, but it’s also really freaking expensive! I’m definitely saving hundreds of dollars per year by not buying cigarettes. Other expensive habits could include excessive drinking, wasting food, and carrying excessive debt. There was a time a couple of years ago where my monthly car payment was taking up more of my monthly budget than I was comfortable. I looked into refinancing and was able to get a lower monthly payment and a lower interest rate, saving me money in both the short-term and the long-run. If you’re dealing debt in the form of car payments, student loans, credit debt, etc., it may be worth looking into refinancing for a better deal. Creating a budget for yourself is one thing, but sticking to that budget is a different story altogether. 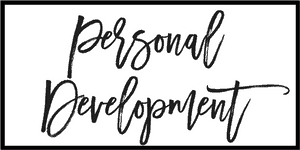 In order to make sure you’re sticking to your budget, create some accountability for yourself. 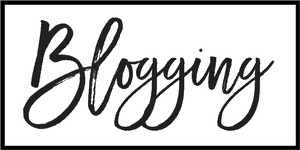 There are plenty of personal finance bloggers who started their blogs initially as a way to stay accountable to they budget and document their debt-payoff journey. My boyfriend and I recently hung a whiteboard in our living room where we track our monthly budget, as well as the progress we’ve made paying off our debt. It seems like a small step, but we see that whiteboard all the time, and definitely helps create some accountability and reminds us of our goals. These 25 ideas are just a handful of simple tips to save money. There are definitely a LOT more ideas out there! But just by incorporating a few of these tips, you can start to really see a difference in your budget every single month. I know how overwhelming it can be to live on a tight budget. 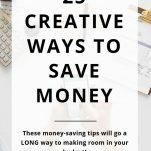 I also know what a breath of fresh air it was to incorporate some of these money saving ideas and really start to feel more confident with my money! I hope you’ll try out a few of these ideas – and make sure to leave me a comment and let me know what your favorite ways to save money are!